France hold a 2-1 lead at half-time in the World Cup final over Croatia, despite being far from their best. Les Bleus’ two goals have come from set-pieces as Mario Mandzukic became the first player to score an own goal in the World Cup final. Ivan Perisic brought Croatia level with a crisp strike on his left foot. 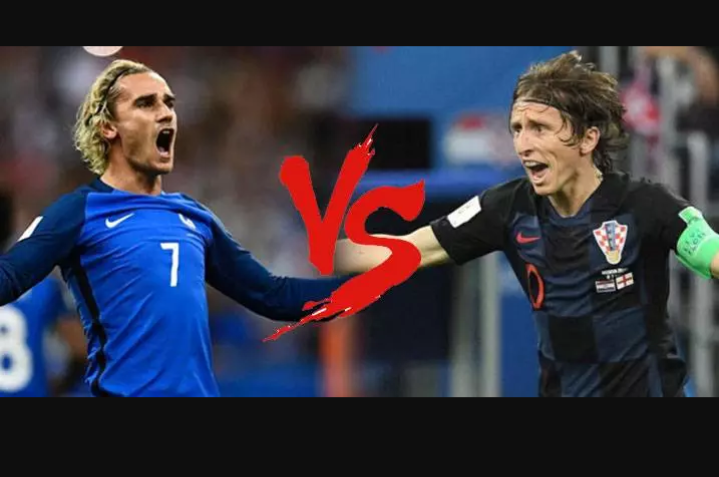 However, he was then the villian as Griezmann’s corner struck his hand and after a VAR review, the referee pointed to the spot. Griezmann duly converted to put France back in front at the break. 18'Own Goal by Mario Mandzukic, Croatia. France 1, Croatia 0. 28' Goal! France 1, Croatia 1. Ivan Perisic (Croatia) left footed shot from the centre of the box to the bottom right corner. Assisted by Domagoj Vida following a set piece situation. 38' Goal! France 2, Croatia 1. Antoine Griezmann (France) converts the penalty with a left footed shot to the bottom left corner.